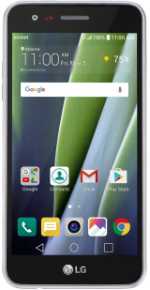 The LG Risio 2 is a 4G LTE smartphone with a 5-inch FWVGA display with 854x480 resolution. The phone is powered by a 1.1GHz Quad-Core Qualcomm Snapdragon MSM8909 processor with 1.5 GB of RAM. There is an internal storage of 16GB with a microSD card slot for up to 32GB memory expansion. The device has a rear-facing camera with a 5-megapixel sensor with LED flash and 1080p video recording. Another camera is available in front with a 2-megapixel camera. Other features include a 2,500mAh removable battery that lasts up to 14 hours of talk time and 600 hours in standby. The phone has an M3/T3 hearing aid rating. Upon release, the phone runs Android 6.0.1 Marshmallow OS.